It has a similar functionality to the other OrthoGraph versions, but it provides a wider range of services. With using the benefits of OrthoGraph Cloud, the offline features will be expanded with the storing and backup of unlimited number of projects with versioning, file sharing between team members, and collaboration through a common storage space allowing real teamwork. OrthoGraph Cloud Client is available in the AppStore, but can only be used with the same account that is used to access OrthoGraph services - in case of having a valid subscription or purchased license. 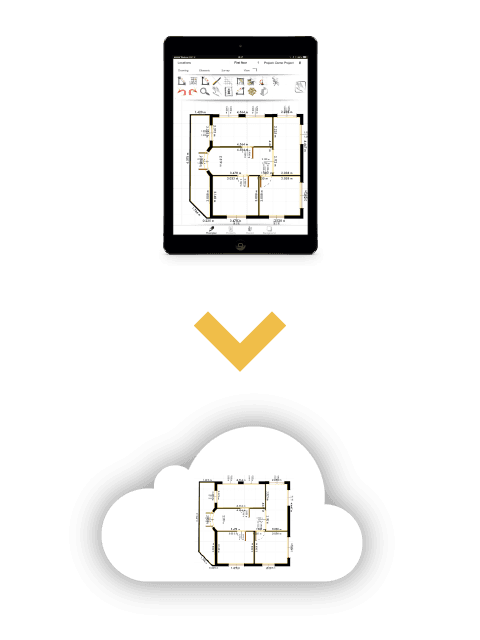 How can you use the benefits of OrthoGraph Cloud? 1. Register on OrthoGraph's Cloud page. 2. After you have registered, you can choose from different subscriptions. Compare the feature list to see which subscription type would fit to your needs - you can see it here, too. 3. After you have made your choice, you can purchase the corresponding OrthoGraph subscription. 4. Once you purchased a subscription, you should download OrthoGraph Cloud Client application freely from the AppStore. The Cloud Client application is needed to gain access to the subscription type you have chosen. 5. Once OrthoGraph Cloud Client is downloaded, use your Cloud credentials to start the application - which will load the subscription you purchased. 6. Start using all the iPad and online benefits of the OrthoGraph platform you subscribed for. Watch the process on video too!